In a recent session of seminar THE GOOD, THE BAD AND THE UGLY Part 1 (Conflict in the Bible: Who, What, & Why It’s Important for Us) ‘we took a short side-journey to explore a basic question which underlies all we have (and will) been studying. That is: What is the point of the Torah? This is not Hillel’s solution to the riddle (‘Teach me the Torah on one foot’) or even Akiva’s verse (‘Love your neighbor as yourself’) . It goes to the heart of understanding how the Torah was written. And why? Because, from almost any point of view, the Torah is not very consistent. Is it an historical narrative? Well if so, it really doesn’t give us much coherent history. Some incidents are glossed over. Some are explored and analyzed in great depth. Some stories are repeated – sometimes with contradictory narratives. Is it a book of halakhah? Then why include stories altogether? The first Rashi commentary on the first verse raises this point and he begins by stating that the Torah is a law book, a collection of mitzvot (which the sages fix at 613). Of course, if that is the case, then the historical narratives are superfluous. It’s supposed to be a constitution, not a collection of shared stories (Of course, the first 3 mitzvot – be fruitful & multiply, circumcision and prohibition against eating the ‘gid hanasheh’ – the cut of meat with the sciatic nerve – are scattered throughout the book of Bereshit, but it’s only part of the story). The laws in the remaining books are sometimes presented as lists of commandments – some of which are not even clearly explained, occasionally repeated and often included in a story. It’s as if the Torah is in conflict with itself over what kind of book it should be, and the book’s description is as much a matter of personal preference as it is a matter of design. So if the Torah is a book of law, why is it written in this not-a-history-not-a-law-book format? I suggest it’s that way to provide a moral lesson. First, we have a series of events which in and of themselves are cautionary tales. Adam betraying his wife as she deflects responsibility for her action;. Noah building the teivah to save himself and his family; Avraham favoring one son over the other, only to later agree to offer him as a sacrifice, no questions asked; Yaakov cheating his brother; and so on. . These are descriptions of the lives and fates of those who followed God’s laws and those who did not (with the ultimate role model being Moshe, who followed God and led his people to Canaan but ultimately lost his chance to enter because he didn’t listen to God’s directive). The Torah leads us from creation into ‘The land of our fathers’ and tells us how to get there and, moreover, stay there. So rather than conflicting with the mitzvah sections, the stories serve the mitzvah sections through illustration (and sometime origin). The ultimate purpose, to give us an advantage, as it were, that will enable us to live and prosper in the land of our ancestor. The message is right there. If we follow these laws we will be allowed to live in the land. If we do not obey, we will be removed. We may get the first shot, but that doesn’t guarantee we always hit the mark. Last session we took a look at the first apologetic work ever written – actually a collection of works – by Philo of Alexandria. In other words, its the literature of rationalization. 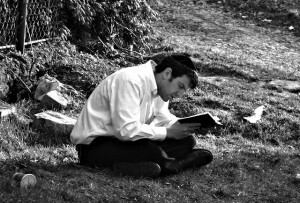 From the completion of the Septuagint until our own times, apologetic literature has been a Jewish mainstay not only as a way to explain Judaism as a religion to other cultures and belief systems (or reconciling Judaism with other ideologies) but also as a way to reach out to the doubting, disaffected (or seeking) Jew. Philo approaches these questions from a unique angle. Philo, who lived at the turn of the 1st millennium and was a contemporary of Hillel in Judea, grew up in an environment which was marked by anti Semitism, based not only on ignorance but also on envy. The prosperity of the Jews in Alexandria and their separatism made them a inevitable target of anti-Semites. Growing up in Alexandria, it’s altogether possible that Philo did not have a ‘Jewish’ name, much the way that many sages in the Mishnah & Gemara had Greek-names (Antigonus, Avtalyon, Symmachus) since naming customs in those days may have differed from our inside/outside Diaspora customs. Hebrew was not the language of the Jewish population in Alexandria. Greek was. Yet despite this, and thanks to the Greek translation of the TaNaKh, Philo was able to bring the midrash on the TaNa”Kh to the Jews of the city. While not as prominent as Hillel in our history, it’s ironic that Hillel’s famous statement that the entire Torah can be summed up in the maxim “That which is hateful to you, you should not do to others” is Philo’s maxim, too. Philo introduces the idea of apologetics to the body of Jewish literature in his Apology on Behalf of the Jews which incorporates many of the ideas he expressed in his midrashim on the TaNaKh. These midrashim frame the Torah as allegory, portraying our history and the characters in it not as figures in history but a archetypes of Greco-Roman values. Avraham, for example, is Intellect or reason in Philo’s midrash. Yitzhak is virtue and Yaakov is action. He places them in the Jewish ‘Pantheon’ as if to say our philosophy of life and the Greco-Roman philosophy are rooted in similar values. Moreover, Mosheuses many of the ideas later expressed by Plato in his Republic. The Torah is even structured like a work of philosophy, with advice, anecdotes, lessons and a bit of history. It also has the same goal which is to praise the scholar and spiritual man as the ideal mean, the sum of creation. It therefore shows that the Jewish people were aware of Plato’s thinking log before Plato even existed. The Torah’s sanctity, then, stems from its purity of thought — represented by God – which in turn, makes the Jewish people a nation of philosophers, whose sounder was the Platonic ideal of the scholar king. Judaism, then, becomes our philosophy which we pursue with religious purity. We are a nation of philosophers, and devout ones at that. He also paints the Jewish holidays as festivals marked not by feasting and revelling but by contemplation and communion. Philo may have intended his works to be an answer to the detractors outside the Jewish community, but it was also used to reach out to disaffected member inside the community who were losing their connection to Judaism The rules and regulations must have seemed oppressive or quaint to some of these people, And, unlike the Jews of Judea & Babylonia, the Alexandrian Jewish community was urbane and very much influenced by the Greco/Roman values. The learning exchange which bound Judea with Babylonia was very rich and active, but there was no such equivalent trade between Judea and the community in Alexandria. Alexandria was a community of culturally assimilated Jews who kept the laws but not the trappings. Perhaps not unlike the more ‘cosmopolitan’ observant community in the Diaspora today vs. the insular Haredi community in Israel. Judeans dealt with issues that challenged their Jewish cultural identity by not allowing them. They drew clear distinction between the “Jewish’ & ‘pagan’ customs and fashion. To them the idea of ‘hukat hagoyim’ referred to any pagan custom or cultural reference, be it literature, leisure activities or even fashion. Philo was a cultured Jew familiar with the teaching of Plato, the stoics and other pagan philosophies and literature. His perception of the TaNaKh is as a book of philosophy and philosophic teaching. Judaism, then, in Philo’s apologetics, is actually a fulfilment of the Platonic ideal, and should be respected, as should all its adherents, for trying to live that ideal life. What makes his work transformative is that it is the first apologetic work, first in a long line that stretches from his day to many of the great apologetic works on Judaism even in our own day. This body of work is given a somewhat lesser degree of sanctity than the Torah because they are not dictated by God and transcribed word-for-word by Moshe, as tradition views the Torah. The Neviim transmitted God’s message ‘filtered’ , that is, in their own words. Ketuvim were divinely inspired, but not dictated to the authors at all. Traditionally, Na”Kh is dated much later than the Torah, with some sections not even canonized until the 2nd century CE. The decision to include a text in the canon had less to do with its provenance and more to with its relevance and significance. (for example, the Sages chose to include Mishle (Proverbs), Kohelet (Ecclesiastes) and Song of Songs (Shir Hashirim) and reject Ben Sirah. If we take the books of Yehoshua & Shoftim (Judges) we follow the conquest and settlement of Canaan by the tribes and trace the history of the land through a succession of kings and prophets. Aside from the beginning of the Nevi’im, historical events actually take a back seat to the prophecies, forming the backdrop for the dramatic narratives which unfold, much like a stage for a series of prophetic soliloquies. When the sages analyze the prophecies and the writings, they ignore the contexts, for the most part, and focus on the content. This lent the narratives a special timelessness, which allowed the sages to apply the prophecies to any situation they chose. If the Torah’s intent was to chronicle the entry of Avraham’s descendants into Canaan (demonstrating how God kept his side of the bargain) and establishing the Divine laws by which it should live, the books of Nevi’im are the follow-up which show, sometimes, through cautionary tales, how keeping the laws safeguard the empire and violating the laws led to its destruction. If we take the phrase in Shoftim “In those days there was no king in Israel. Each did as he thought proper” (Shofetim 21:25) (“בימים ההם אין מלך בישראל איש הישר בעיניו יעשה” (שופטים כ”א, כ”ה) metaphorically, the book foreshadows the fate of the nation until the destruction of the temple – and even in exile – when the people didn’t have a ‘King’. The TaNa”Kh, then s transformative not only because it is our national & collective heritage, but also because it defines our origin and charts the journey towards our collective aspirations. This Times of Israel piece by Dov Lipman (The era of ‘Secular’ Israeli Jews is over) echoes what I have been saying for years now and reminds me of a conversation I recently had with an Israeli who called himself secular as he was describing the bar mitzvah he & his wife are planning for his son. The truth hit me right before my first Yom Kippur in Israel after I made aliyah, when I visited Kibbutz Beit Hashita, and is expressed in another Times of Israel article by Matti Friedman from 2012 which can be found here: http://www.timesofisrael.com/a-yom-kippur-melody-spun-from-grief-atonement-and-memory/ and was reinforced by many interviews and personal encounters with Israelis who Jewish identity is expressed in both traditional forms (daf yomi other text study) and non-traditional variations on Shabbat and holiday observance – including skating and biking on the city streets on Yom Kippur, when the roads are closed to all traffic save for pedestrians, bicycles, scooters and skateboards. Lets spend more time on what keeps us together than on what separates us from each other. Back in 1990, one of my students whose mother was a Reform rabbi, asked me if I ever thought there would be Orthodox woman rabbis. I answered it would probably happen in about 25 years. In the spirit of the high holidays I publicly apologize to that student for being off by about 1 year. One of the articles that motivated me to make that prediction was Rabbi Saul Berman’s ‘Status of Women in Halakhic Judaism’ published in 1973. (First in a series of essays on 12 SEFARIM THAT TRANSFORMED JUDAISM. With all its anomalies and disjointed structure (the fact that it goes from historic narrative to legal lists and back again) and the seeming disconnect between the beginning of the text and the rest (see the Rashi on the first verse) ultimately we realize the point of the Torah was to provide a moral, ethical religious core around which the Jewish nation, descended from Avraham who rediscovered God, would be formed. All mitzvot have an aspect of balance attached to them. Moreover, there is even a balance between mitzvot that relate to God and mitzvot that relate to other people (not necessarily in number). 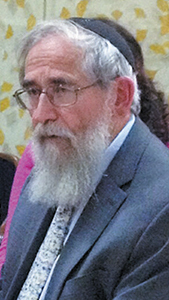 The shared history and values are what unites us as a people with a common interest and destiny, so that when Yehoshua needs to send out spies, he doesn’t have to send 12 – one from each tribe – but 2 to represent the whole nation. This is essentially what the Torah’s transformative task is – to bring us all together. Despite its anomalies (or perhaps because of them) it is our core book. We read it. We study it. We argue it. Sometimes we run to touch it. Sometimes we run from it. But it’s always our center, informing each and all of us. Midrash tells us that before He revealed Himself at Sinai to give His Torah to Yisrael’s children,God shopped around just to see if someone else might want it. Every nation to whom He offered it rejected it for one reason or another after asking what’s in it. Yisrael’s children not only accepted it, but accepted it without question (‘Na’aseh venishma’ – we will do and then we will listen). I suggest, on the one hand, they were so desperate they were ready to accept anything. But I also believe the inner truth of the Midrash is even more revealing.. Consider how other religions relate to the Torah. (See, for example, Christian &Islamic takes on ‘Eye for an eye’). Other beliefs refer to the Torah, but adapt it to their cultures. The Jewish people allowed themselves to be transformed by it.